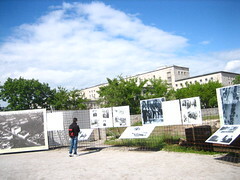 The Topography of Terror chronicles the horrors and atrocities of the Nazis from the period 1933 to their fall in 1945. It is situated near the boundary between West Berlin and the former communist East Berlin and is adjacent to part of the Berlin Wall which was erected during the Cold War. The documentation center was built on and near the former buildings used by the Third Reich Government during their time in power. Many of these buildings, such as the Gestapo and SS Headquarters, were heavily damaged during the war and the subsequent allied invasion and later completely destroyed. 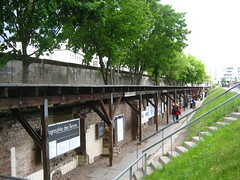 In the 1970s, these ruins were excavated and revealed cellars which were used by the Nazis to torture, imprison political prisoners and also functioned as the head quarter for the secret police. 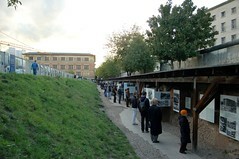 In 1987, the old "Prinz-Albrecht-Area" was made into a documentation center and museum dedicated to revealing the horrors of the German Third Reich and the reigning head quarters of the Nazi SS and Policestate. 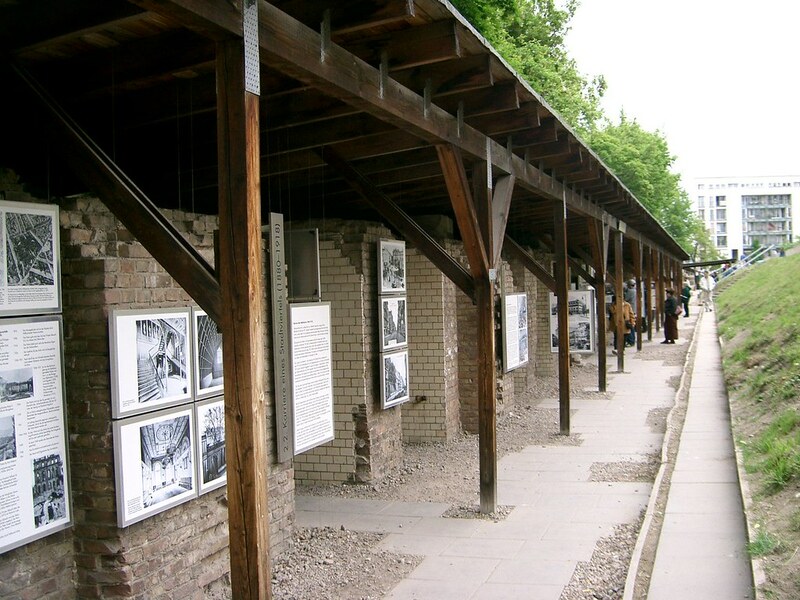 The venue contains a lot of graphic detail in written form but also in pictures and recordings, depicting how terrible conditions were for those not favored by the Nazi regime. It is a sobering and thought provoking journey into the not too distant past. Well worth a look. Plenty of information about the Nazi party. Very informative. Buildings near the area are still marked by gunfire from 1945 when the allies headed towards the Gestapo building. Disappointing. It has no impact at all. It\'s like reading an outdoor wkipedia entry. Have you already visited the Topography of Terror? If so, let everyone know what you thought about it by writing a review! No registration necessary. Just click here to start writing! View all Topography of Terror Pictures.